Basketball Manitoba is pleased to offer the 'Junior Officials Development Program' (JODP) clinics for people new to refereeing that are 15 years of age or older. The program is designed to improve the overall level of officiating in the Junior High / Middle School & Minor basketball leagues. For officials who are age 18+ and have been recommended by an assignor to take a Senior Clinic, please visit http://maboref.com for more information. To register for a JODP clinic you must be 15 years of age or older the year of the clinic. The clinic cost $90.00 (includes GST) per person to attend. Clinics are typically offered on a Saturday or Sunday and run 9:00 am to 4:30 pm. We typically offer our referee clinics in October, November, December and again in April. These clinics will cover such aspects as game rules, floor mechanics, hand signals, referee philosophy and more. The clinics will be based on the current FIBA (international) rules system only. All clinic attendees will receive a printed copy of the current FIBA rulebook. You can view / print your own copy of the current FIBA rulebook. Upon completion, you will be a certified "Junior Basketball Official", by the Manitoba Association of Basketball Officials (MABO). 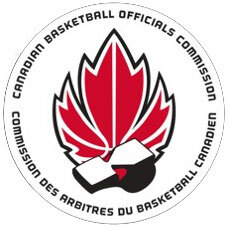 Those that become certified will be eligible to officiate in the WMBA, Junior High Leagues and the Basketball Manitoba Junior High Basketball Championships. *If this is your first year taking a JODP clinic, you need to sign up for the 1st years only, and if this is your 2nd or more years taking a JODP clinic, you must sign up for the 2+ years experience clinic. The following are the documents that are provided at all current JODP Clinics. For more information on the Junior Officials Development Program, check out our Frequently Asked Questions section, or contact Jillian Kehler. More information on the referee certification process can be found on the Manitoba Association of Basketball Officials web site.